First, you want to decide where you want your purchase links to appear. You do this in the Ultimate BB » Book Information section. Scroll down to "Configuration", which has the "Enabled" and "Disabled" columns. Find the box for Purchase Links and drag and drop that box where you want the links to appear. Then you can set up the links themselves. You can set up your purchase links in Ultimate BB » Purchase Links. You can add as many links as you want. 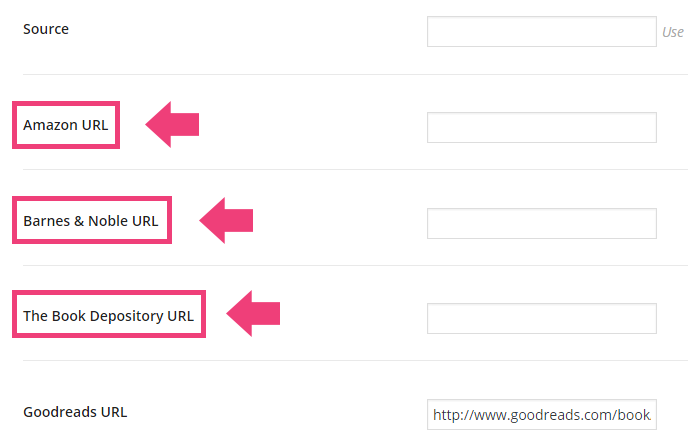 Simply click "Add Link" to add a new link and fill in each field. The template field is similar to the other book info templates. It consists of text and HTML, with a placeholder for the actual URL. Typically, all templates will be exactly the same, but you'd change the link text. 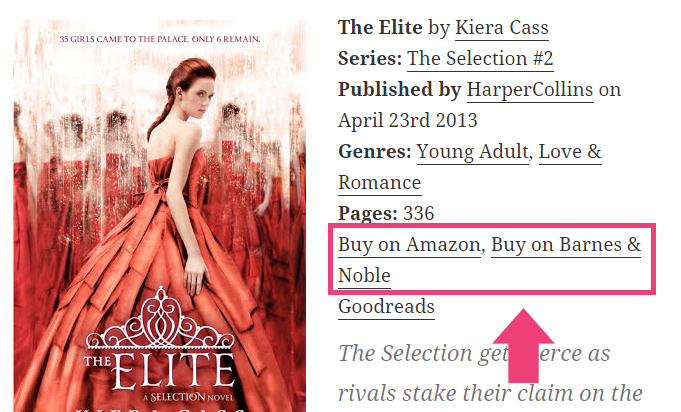 So you might have "Buy on Amazon" for this link, but for your Barnes & Noble one you'd change it to "Buy on B&N" or similar. At the bottom of the settings page, there's a field called Separator. This is what you want to appear in between each purchase link. By default it is a comma and a space, but you can edit this to whatever you want.